12.00 – 13.00 – Rogério Puga, “Imagology in the Classroom: Representing (What?) Culture(s) in 11th Grade English Textbooks (2014) in Portugal”. NB You must bring the “declaração” from your school. Registration is open to anyone who wishes to attend the conference. All fees must be paid until 31 October. After this, you should add 20% to the above prices. Please attach proof of payment to your registration form (add a scanned copy of your “Multibanco” receipt or add our email to your online transfer). Registration is limited to 100 participants, due to the capacity of our auditoriums. Joan Turner is a Reader in Writing Research and Intercultural Communication at Goldsmiths, University of London. She is Director of the Centre for English Language and Academic Writing there, and a board member of the research Centre for Language Culture and Learning. Her background is in language studies and language teaching, with specialisations in EAP (English for Academic Purposes) and Intercultural Communication. She is also interested more widely in cultural theory. Her 2011 book, Language in the Academy: Cultural Reflexivity and Intercultural Dynamics critiqued the perception of language and language work in the academy, as well as emphasize the constitutive dynamism of the intercultural in pedagogic practice. Other recent publications include: “Researching Intercultural Communication in a UK Higher Education Context” with Masako Hiraga, in Jin, L. & Cortazzi, M. (2013)(eds.) Researching Intercultural Communication, Palgrave Macmillan; and Academic Literacies: Providing a Space for the Socio-political Dynamics of EAP (2012) in Journal of English for Academic Purposes 11(1), 17-25. Neus Figueras Casanovas holds a PhD in language testing from the University of Barcelona. She is currently working in the Departament d’Ensenyament de la Generalitat de Catalunya, where she coordinates the certificate exams for the Escoles Oficials d’Idiomes. She is also lecturing part-time at the University of Barcelona and the Universitat Pompeu Fabra. She has been involved in a number of international research and development projects (Speakeasy, Dialang, Ceftrain) and collaborates regularly with the Council of Europe in the dissemination of the Common European Framework of Reference in relation with testing and assessment. 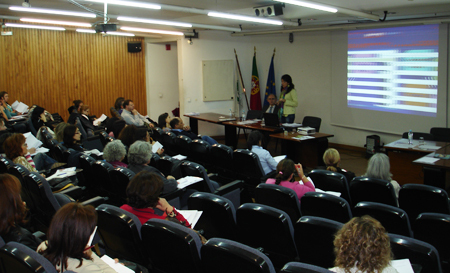 She has published articles in the field of language teaching and assessment and is one of the authors of the Manual for Relating examinations to the CEFR (Council of Europe, 2009). She has recently published, with Fuensanta Puig, Pautas para la evaluación del español como lengua extranjera (2013). Edinumen. She has been a teacher trainer for over 20 years, and has given courses and presented in universities in Spain and in different European countries, in Asia and the USA. She was the first President (2004-7) of EALTA (European Association for Language Testing and Assessment), and she is now an expert member. 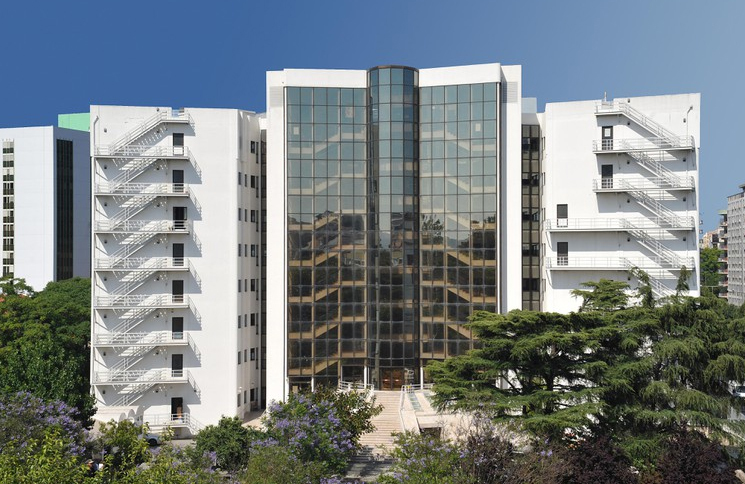 Avenida Conde Valbom, 56 P – 1050-228 Modern building, strategically situated between Praça de Espanha and the Gulbenkian museum. Special fare for TEFL5 participants. Rua Laura Alves, 10 P – 1050-138 The closest to FCSH, only 2 minutes walk.